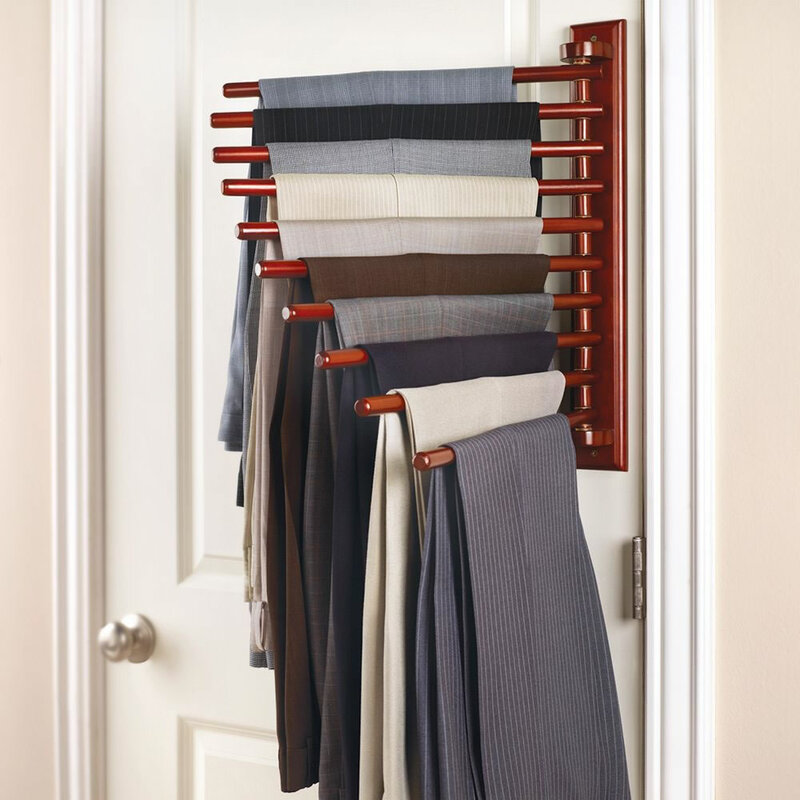 Only available from Hammacher Schlemmer and extending only 18" from a closet wall or door, this rack keeps 10 pairs of slacks neatly hung and readily accessible. 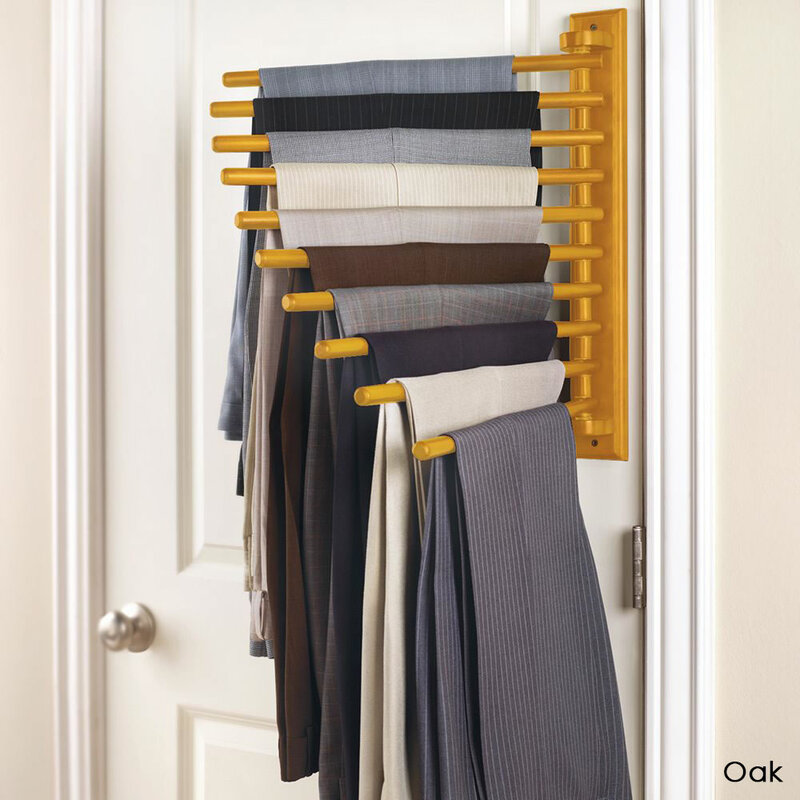 It easily mounts to a closet wall or door and has a 10-gauge steel support bracket that holds 10 hardwood dowels so you can hang trousers flush against the wall, then swing them out individually, up to 180º. The 5/8"-diameter dowels reduce creasing of even fine fabrics and one-inch vertical spacing between the dowels allows for easy visibility. Support bracket has solid hardwood back with clear lacquer finish and mounts with self-tapping drywall anchors (included). Imported. Mounting board 20" H x 2 3/4" W.
The Closet Organizing 10 Trouser Rack comes with The Hammacher Schlemmer Lifetime Guarantee. Items that we sell are guaranteed for their normal life under standard non-commercial use.